Colours of Hippeastrum Flowers Photography. Christina Jablonski has just published a new set of photos titled Colours of Hippeastrum FlowersMy interest in hippeastrum started a while ago when a kind stranger gave me some bulbs. This year I had a fascinating display of colour in my garden and began to take notice of hippeastrum growing in other places. 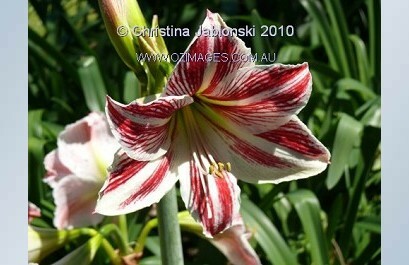 A popular but somewhat inaccurate name for these flowers is amaryllis.Christina Jablonski Nature Stock Photography. New Lightbox: Scenic Rim: Mountain peaks of the Fassifern Valley.